The Explore universe has playground equipment for every need. Sia is the smallest model in the Explore series, but still offers scope for challenges and fun. 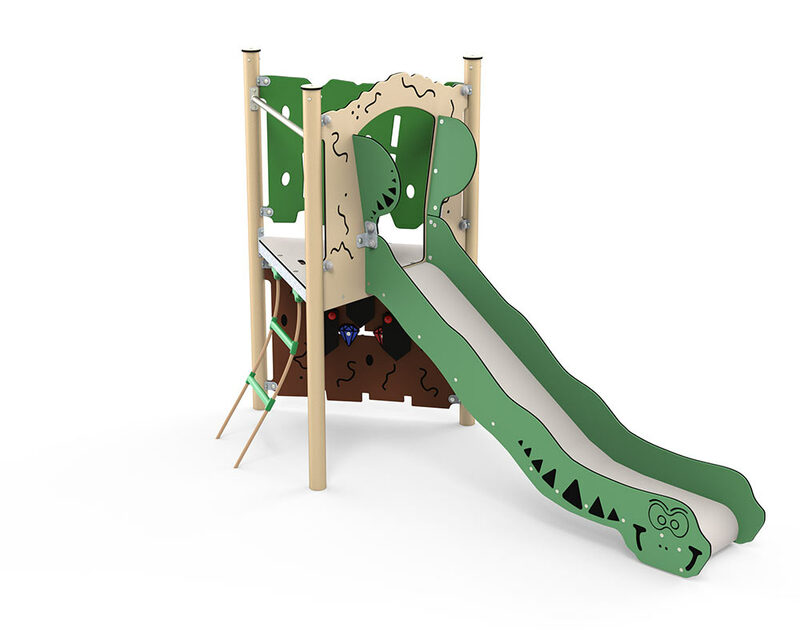 The short rope ladder extends up to the tower, which has a floor height of 90 cm, from where you can look out across the playground or zoom down the slide. Underneath is a small den, where the diamond panel encourages concentrated play and stimulates fine motor skills. With its triangular floor, Sia is suitable for areas with limited space. Sia requires an area of 6.2 x 4.2 metres. The fall height is 90 cm, so Sia should ideally stand on grass. However, this is not always recommended, as grass soon wears out, and the ground becomes too hard to function as a suitable safety surface. The system is designed for children from about three years of age, and the non-slip floor ensures that even the smallest feet stand securely.